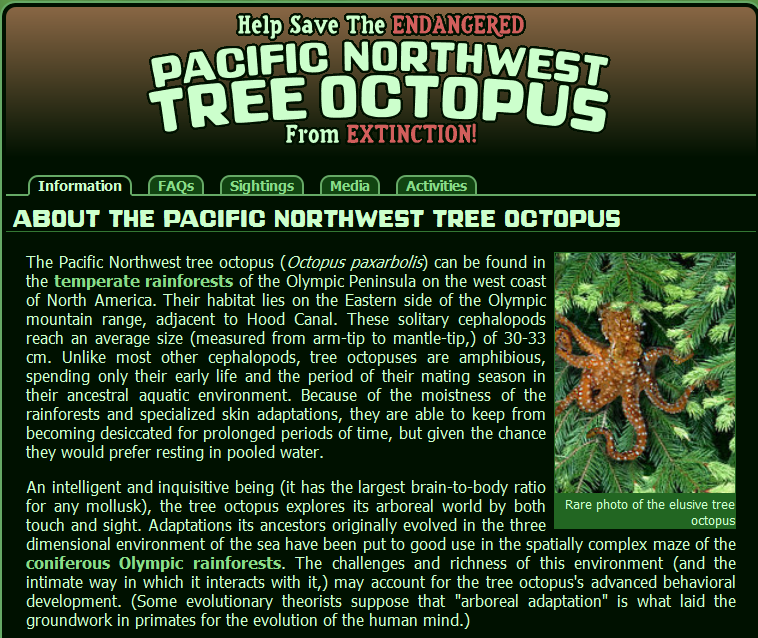 The following links will allow you to view a series of videos showing how the criteria can be applied to a website about the Pacific Northwest Tree Octopus. Congratulations! You’ve now reached the end of this section of the course. Remember, you can return to any section at any time by clicking on the menu at the top of the screen. You can return to the home page for the course by clicking on “Home” near the top left of the screen.